Sunglasses Trends For 2018. The new year brought me a very interesting opportunity: to be the official influencer of Mido Eyewear Show 2018, the most important exhibition in the world for eyewear in terms of size, presence and representativeness! An exhibition that welcomes the entire world of the eyewear: the excellence of the Made in Italy, the top national and international brands, small artisan and avant-garde realities, young designers and companies that make technological innovation and design research their driving light. My role? 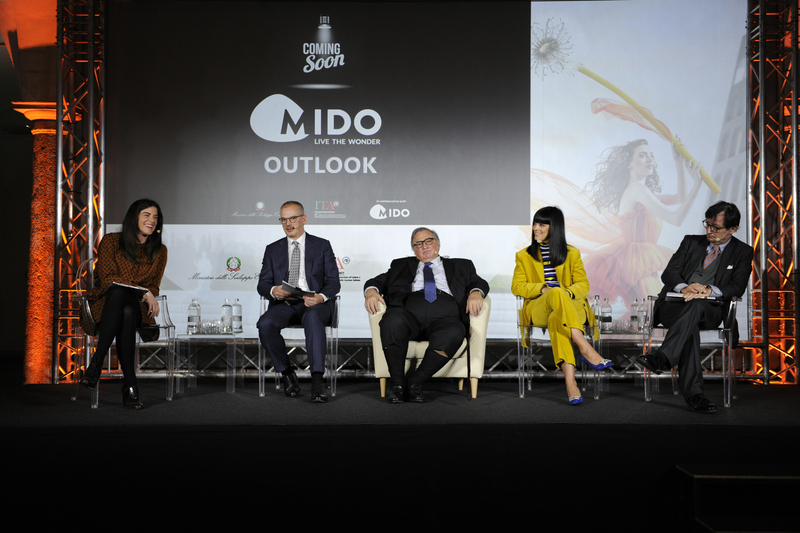 Report Mido to you and on my social media channels and, before that, take part in the press conference as a spokesperson on sunglasses trends for 2018! 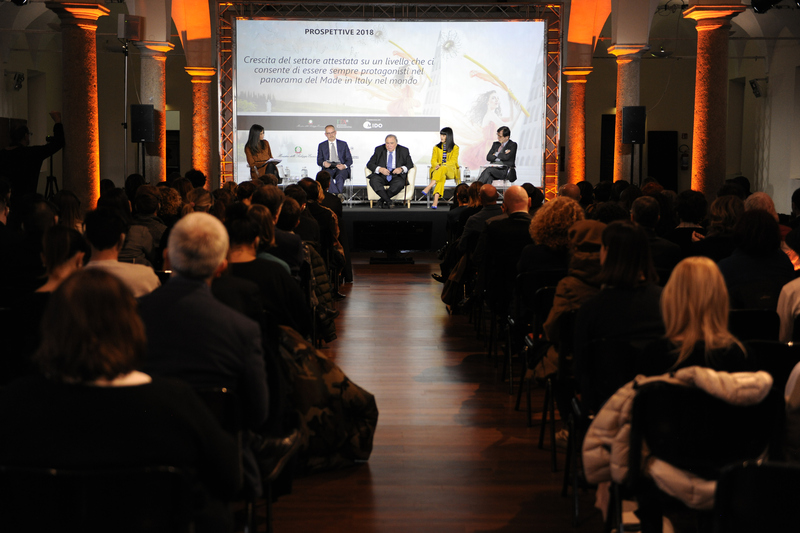 The press conference was set up inside the Museum of Science and Technology in Milan the day before the start of the exhibition (which took place during the weekend of Milan Fashion Week). 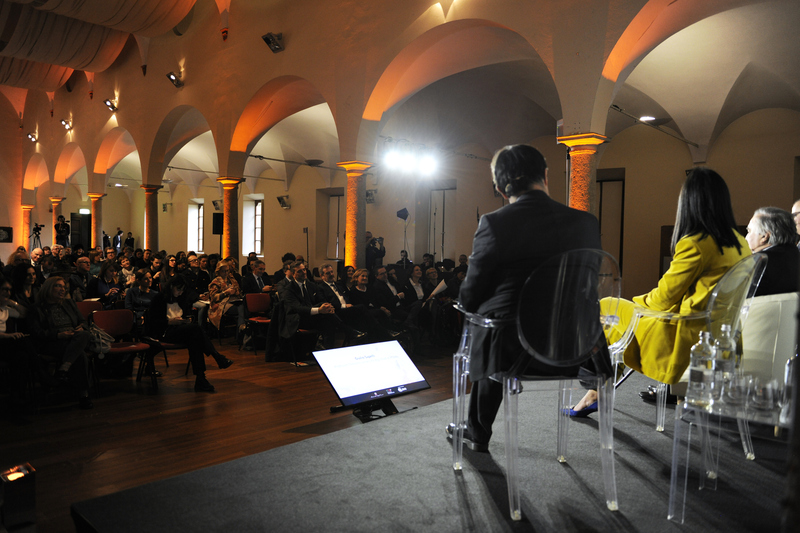 It was moderated by the journalist and host of TG5 Costanza Calabrese and, in addition to me, there was Giovanni Vitalone (Mido and Anfao President), Professor Giulio Sapelli (Historian and Economist at University of Milan) and Piergiorgio Borgogelli (Director of ICE Agency, for the Promotion Abroad and the Internationalization of Italian Companies). I don’t deny that I was so excited and glad to be able to speak in front of such a large and important audience! 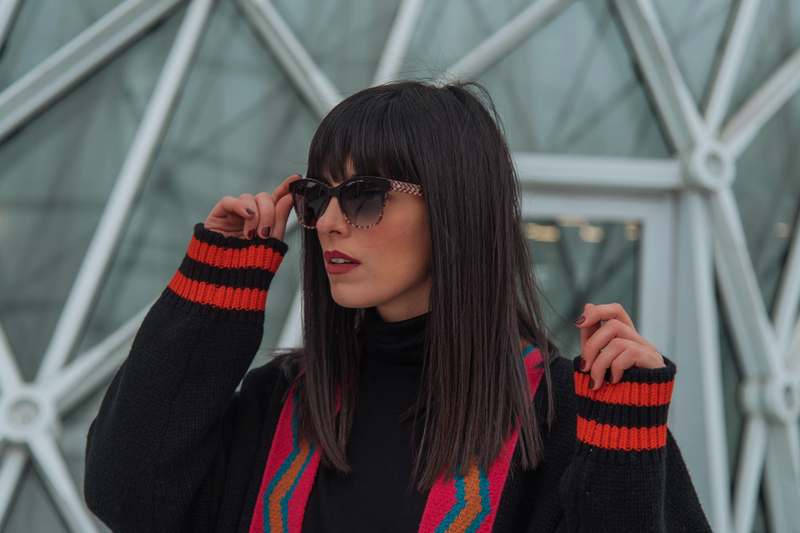 In terms of sunglasses no longer seen just as an accessory but as an integral part of style and look, I was asked to frame the trends of the moment. Here is a small excerpt of my presentation! Eyewear materials have an increasingly diverse appearance with much thought going into the way in which they are brought together for wide-reaching creative and functional results.. Classics such as acetate, titanium, stainless steel and aluminum appear in a multitude of new combinations, with immense advantages in terms of lightness and comfort. The new collections for 2018 offer an ever wider range of colors with classic black, white and tortoiseshell alongside pastel and bright colors. Ultra violet (Pantone color of the year 2018) and the derived shades of pastel pink, lilac, antique rose, mauve and amethyst have also been welcomed in eyewear collections. These new tones are joined by other delicate pastel shades such as baby blue, pale yellow and pistachio. Among the bright colors we will see a lot of cherry red, sunny orange, blue and emerald green. 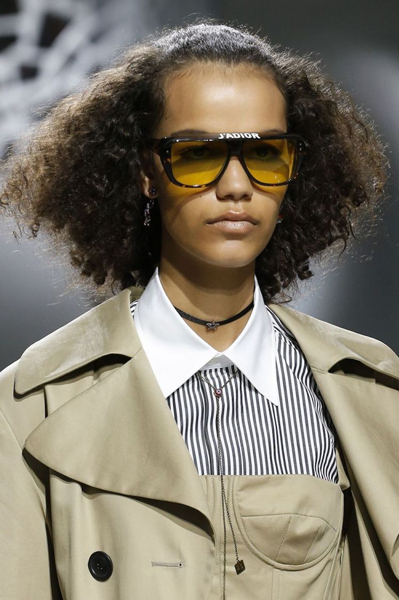 Among the hottest trends directly from the catwalks are the micro frames, also called Matrix (from the Nineties cult movie). Small, thin and geometric, they barely cover the eyes. They may not be completely practical in terms of UV protection, but in this case it’s the aesthetic that matters! Great variety in cat-eye frames. From the vintage reinterpretations of the Fifties models to the proposals in mini and more current versions. 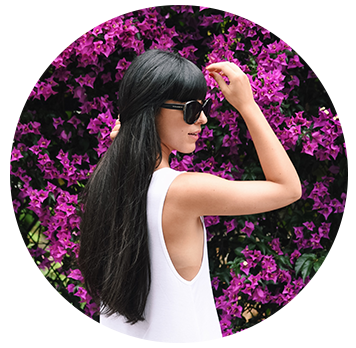 For those who prefer less invasive sunglasses and follow the philosophy of “less is more”, there are thin metal frames. Many proposals in contemporary version, with colored lenses tone on tone. Round frames are also a huge thing, both oversize and micro. Aviators are still in fashion, with both normal and mirrored lenses, as long as they are strictly oversized. In a context of Nineties revival, it could not but reappear even the visor glasses. Often in a super technical version, with clear references to the sports world. Here too, the design is oversize. There are so many trends, one for every mood! Now let’s move on to my day at Mido. After the booming visitors of the last edition, the fair has reached the record of exhibitors: 1305 companies coming from 5 continents, subdivided in the 7 Pavilions of Rho- Fiera Milano. The exhibition spaces have been renovated with great impact settings. Look at that suggestive lighting on the floor! The stands were very well curated and captivating: here below some of those that most impressed me! I had the opportunity to meet many brands of creative eyewear, including one from my city, Turin, called Vanni. Their frames are really beautiful: the acetate sheets are designed in their style center in Turin and then realized with the help of Italian companies that are world leaders in the sector. It has been explained to me that the acetate comes from the cotton flock which is worked with plasticizers until it becomes a paste, to which the color is then added and which is handcrafted to obtain the original design. The processing is totally manual, in fact, they spend a good 9 months before seeing the design made on the plate! Below some of their models! I also met a lens company, Barberini, which has recently launched its eyewear collection that incorporates high quality glass lenses with UV400 protection. From some studies it has been discovered that this protection slows down retina aging processes and also allows you to see more sharper and beautiful colors! Erroneously I thought that their frames would be heavy, but I was surprised by their lightness, but also and above all for their refinement: the glass has a different light! Finally, I went to say hi to the Safilo stand, one of the world’s largest manufacturers of sunglasses and eyewear with a portfolio of top-level brands. Safilo has understood well how the glasses have become important nowadays: they organized a party for the launch of the new Moschino Eyewear collection, to which I had the pleasure to participate just the night before! This is the end of my experience… Goodbye Mido! See you next year, again at Rho-Fiera Milano, on February 23rd, 24th and 25th, 2019!